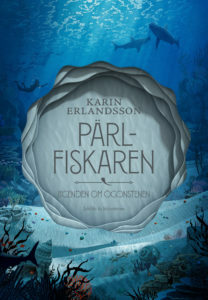 Karin Erlandsson’s adventurous children’s novel The Pearl Fisher has been sold to Sinisukk in Estonia. Sinisukk is one of the biggest publishers of children’s literature in Estonia, with authors such as Astrid Lindgren, P. L. Travers and Rachel Renée Russell on their list. Pearl Fisher is the first book of four part series Song for the Eye Gemstone. It won the publisher’s children’s novel competition, was nominated for Arvid Lydecken Prize and won the prestigeous Runeberg Junior Prize in February 2018. At the moment is nominated for the Nordic Council Literature Prize in two categories (Finland and Åland). Karin Erlandsson (b. 1978) works as a journalist in Åland. She has written before three novels for adult readers, The Mink Farm (2014) shortlisted for the Nordic Council Literature Prize, and a cook book. The Pearl Fisher (2017) is her first children’s novel. Danish publishing house Jensen & Dalgaard has acquired Selja Ahava’s new novel Before My Husband Disappears – a story about a woman who’s life is changed by a single sentence. Published in Finnish in autumn 2017, the novel has gotten an enormous amount of attention in Finland. 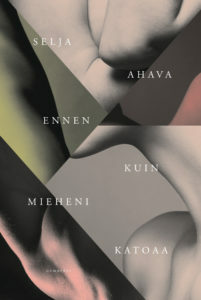 Jensen & Dalgaard have just published Ahava’s previous novel Things that Fall from the Sky that was awarded with European Union Prize for Literature in 2016 and nominated for the Finlandia Prize and the Torch-bearer Prize. The novel has been sold so far to 16 countries. Selja Ahava (b. 1974) is a dramaturge and a scriptwriter. Before My Husband Disappears is her third novel. The Bologna fair just over and the London fair right around the corner, we are happy to share some highlights of our spring catalogues (you can check them as a whole here)! LITERARY FICTION list is pouring with both awarded authors as new voices. 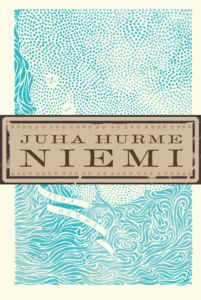 Juha Hurme’s HEADLAND, latest Finlandia Prize winner with the printrun of the amazing 100,000 copies is a cultural history of the peninsula that later became known as Finland – from the Big Bang till year 1809, told in the breakneck style of Juha Hurme. Marjo Niemi’s MOTHER OF ALL LOSSES, latest Runeberg Prize winner is a frantic monologue from a daughter to a mother that carries the reader with its unique rythm to the feelings of shame and guilt – a book infuriatingly funny and deeply touching at the same time. Selja Ahava’s BEFORE MY HUSBAND DISAPPEARS is the new novel of the author of European Union Prize of Literature winning Things that Fall from the Sky that has been sold to 16 countries so far. With her unique voice Ahava tells a story of a lives that start to change from one sentence. 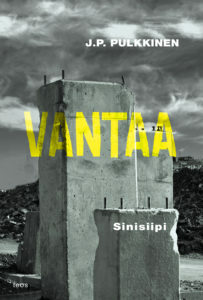 J.P. Pulkkinen’s LARGE BLUE is a hard boiled crime novel located in Vantaa – the rough-edged boomtown just a bit north of Helsinki where the crimes seem to have roots that go deep in the city’s past. With crystal clear language, well-build characters and a plot that pulls you in like quicksand Pulkkinen, established as a novelist, makes his entrance to the scene of crime fiction – and straight to the top. 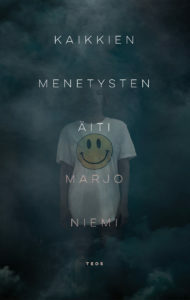 Broadcasted by Netflix in several areas, the television series has been sold to over 40 countries and is boosted by the new season coming out first in Finland already in the autumn. NONFICTION highlights are a show of real Finnish lifestyle, obviusly resulting into Finland being the happiest country in the world! Finnish path to relaxation, sold to 11 countries so far! 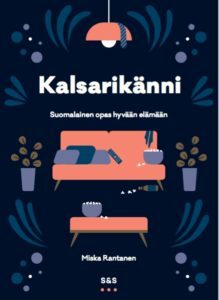 Miska Rantanen’s PANTSDRUNK, KALSARIKÄNNI – The Finnish Path to Relaxation has been sold to 11 countries. 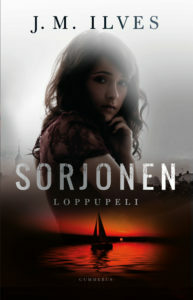 The book came out in Finnish in February, and the English translation is soon to be in the USA, published by HarperCollins. The story in short: where the Danes have hygge and the Swedes have lagom, the Finns have kalsarikanni – pantsdrunk: drinking home alone in your underwear. Why the Finns are Always in Sauna? Heli and Ville Blåfield make a different kind of a venture into the Finnish well-being with SAUNA PEOPLE, a book that tells why the Finns are always in the sauna. Why is going to sauna so essential in Finland, and how come this introverted people suddenly change when they get naked? CHILDREN’S FICTION list is out too – the first one in HLA history! 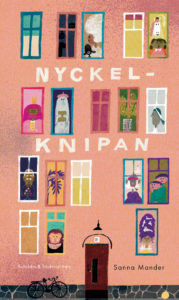 Sanna Mander’s THE LOST KEY, the latest Finlandia Junior Prize winner, is a charming, rhyming picture book about different people all living in an apartment building. With colours and smart illustrations Mander shows that actually all of us are different in one way or another. An adventure without comparison, the book grows to a grand tale of friendship, longing and what truly matters in life.